The electric conveyor for the pre-cooling is used for the automatic and controlled movement of the offal. The use of the automatic railway to the offal area offers stable time for pre-cooling which is a very important for the meat’s good quality. Also it provides stable flow of the production without wasting of labour cost, as well as continuous & easy control of the operation. Fully made of stainless steel for a long lasting operation. Its length depends on the required capacity of the slaughter line. The movement is with motor, whose speed is adjustable to speed up or down by the inverter. The pre-cooling room is between the slaughter line and the cooling rooms. The cattle carcasses get into the room and their temperature decreases from 37oC to 10oC in 1 ½ hour and the sheep and goat in ½ hour. Prevents the microbes to arose, bigger lifetime! With the quick pre-cooling, the microbes of the carcass stop to grow. This results in double lifetime of the carcass, ideal for exports. Conservation of the Weight until 3% more! When the carcasses pass from the quick cooling, they retain their at least 2-3% weight more, than the case without the pre-cooling. Less Storage into the Cooling Rooms! When the carcasses go directly to the cooling rooms, they must remain there at least 12 hours. In case they will be exposed firstly at the pre-cooling, then only six hours are required in order to reach 0oC. Better chilling and conserve of energy the Cooling Rooms! When the carcasses get into the cooling rooms after the pre-cooling process, their temperature is only 12oC, which is closer temperature to 0oC than the 37oC of a fresh carcass. The cooling machines operate better and consume less energy. Electric conveyor of offal is used for the automatic and controlled movement of the offal. 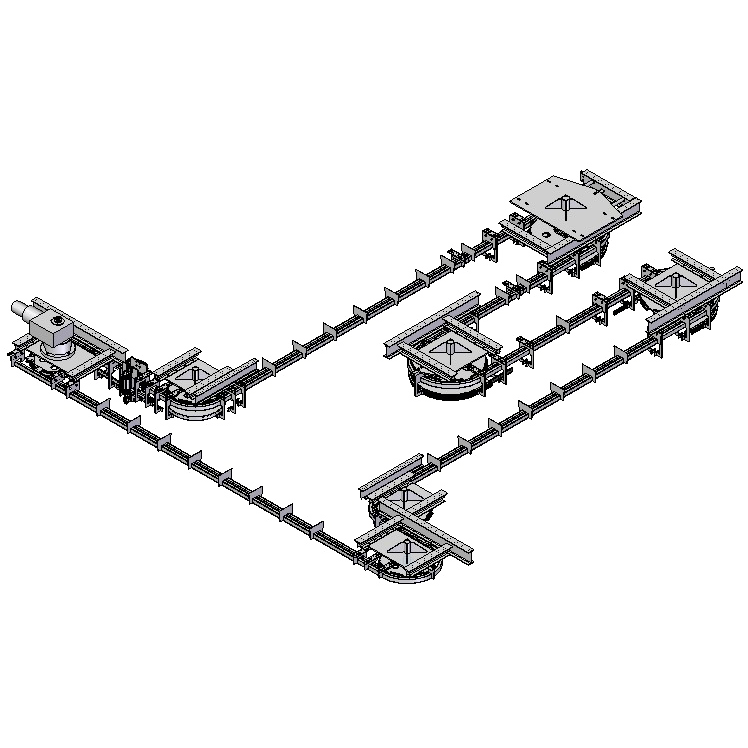 The use of the automatic railway to the offal area offers stable flow of the production without wasting of labour cost, as well as continuous & easy control of the operation. Fully made of stainless steel for a long lasting operation. Its length depends on the required capacity of the slaughter line. The movement is with motor, whose speed is adjustable to speed up or down by the inverter. 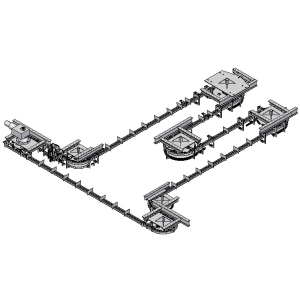 The electric conveyor of carcass process is used for the automatic and controlled movement of carcasses during the carcass process. The use of automatic railway to the process area offers stable flow of the production without wasting of labour cost, as well as continuous & easy control of the operation. Fully made of stainless steel for a long lasting operation. Its length depends on the required capacity of the slaughter line. The movement is with motor, whose speed is adjustable to speed up or down by the inverter.